Structure your information in the same way that you structure your projects. 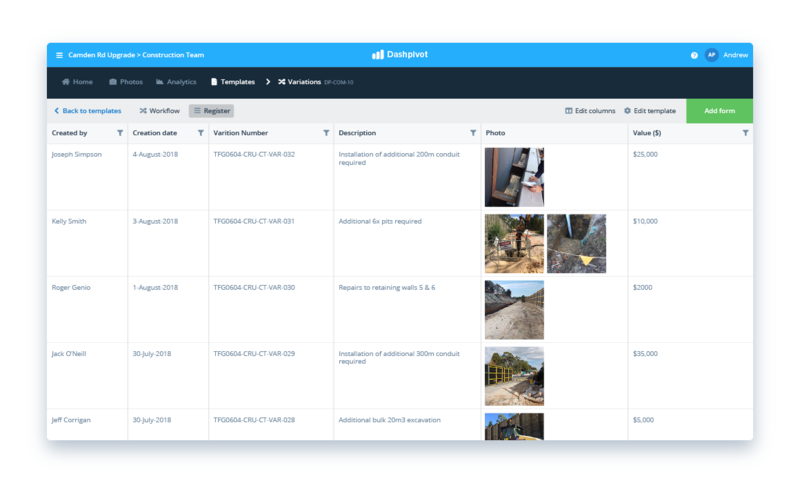 Dashpivot enables subcontractors and service businesses to access and store their information in an easy and structured way. 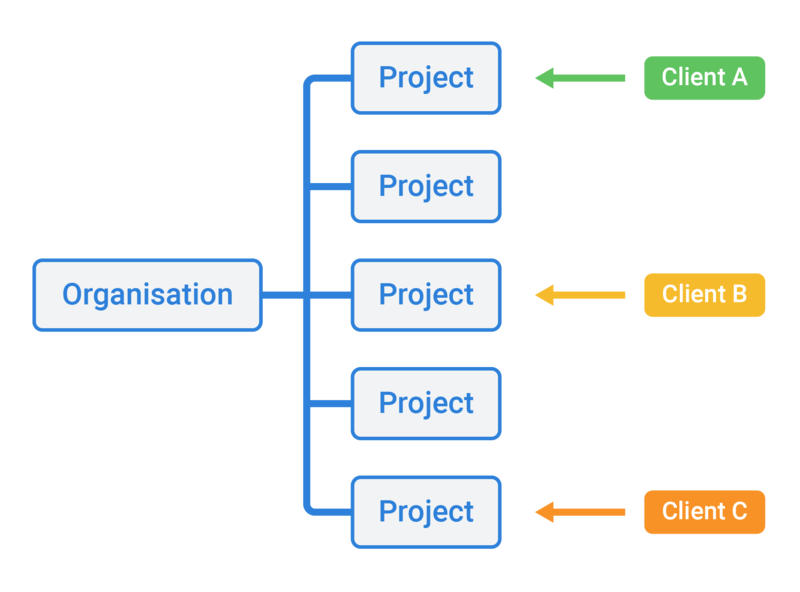 For subcontractors and service business, the projects layer in the diagram act as 'folders' for specific clients, meaning you can store, access and share all of the information associated with a specific client in one space - and quickly toggle and move between clients. 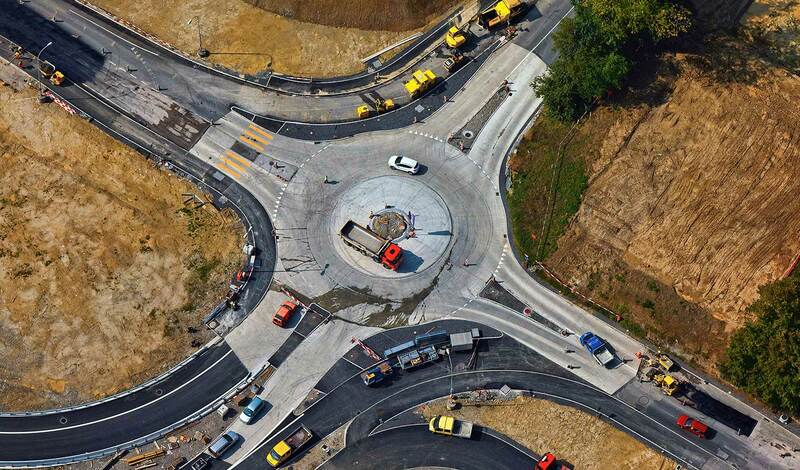 The flexible and dynamic system to match the dynamic nature of your projects and work. One system with all of the tools and features you need to create, organise and share all of your important project information - without any of the admin. Keep all of your stationary documents like job sheets neatly stored in chronological order. 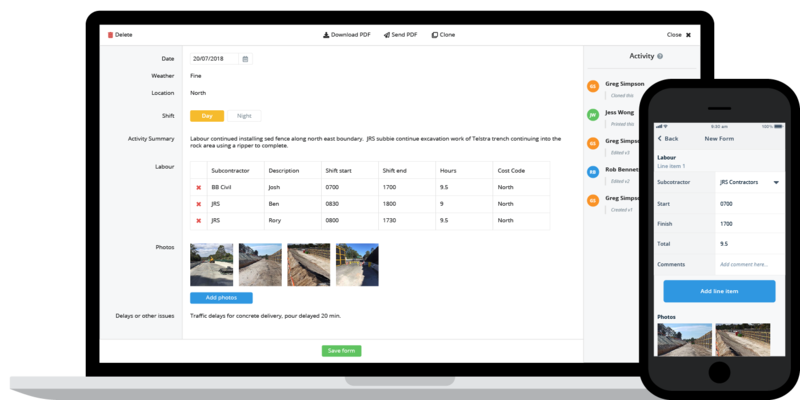 Automate time-consuming timesheet and permit approvals through powerful workflows. Display timesheets, safety incidents and other information in a register, to quickly find what you are looking for. 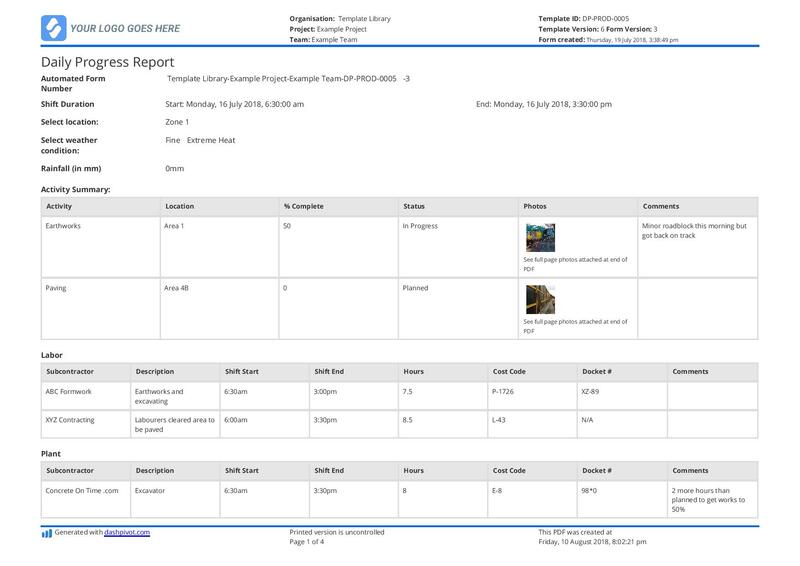 Deliver perfectly formatted reports and documents every time to make everything you do look professional. 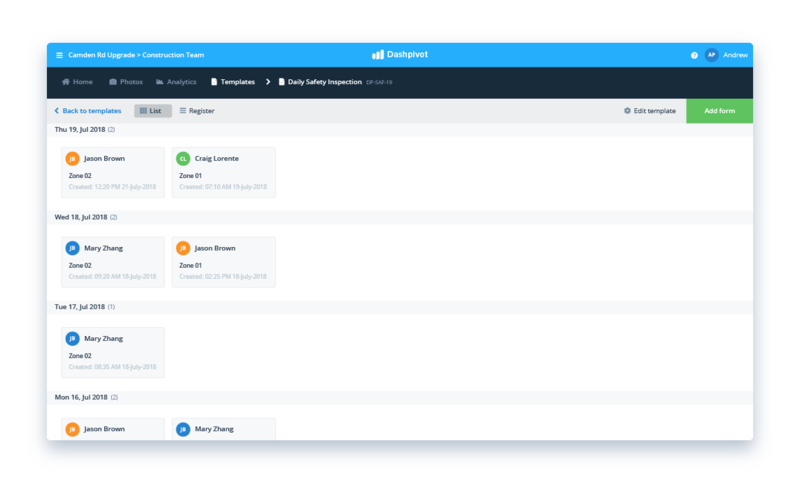 Track progress and other activities across your fast moving projects and sites in real-time, so you can understand what's happening at every level of your company. 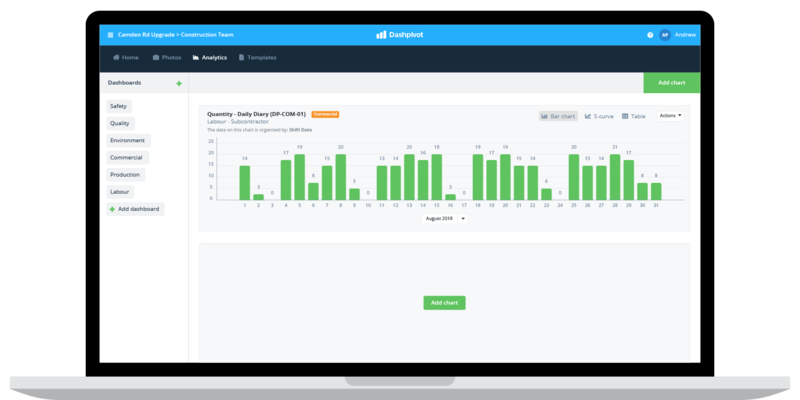 Let Dashpivot aggregate and display your data for you, so you can focus on making good decisions about your projects and business. Get real-time updates on progress to stay on top of all of your work from one place. 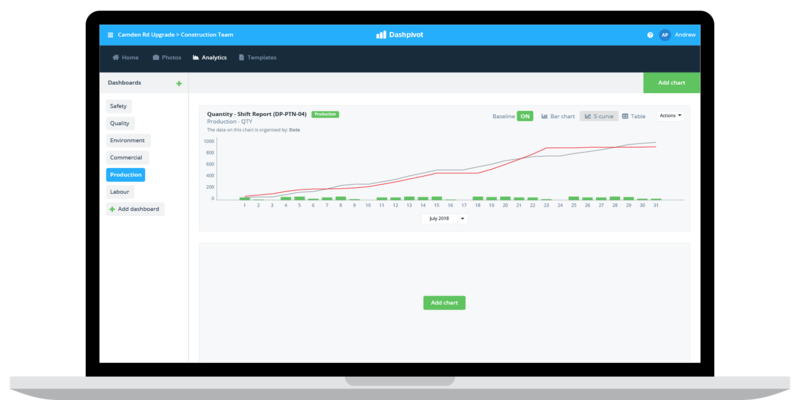 Understand where your productive hours and activity is being spent to truly understand ROI. 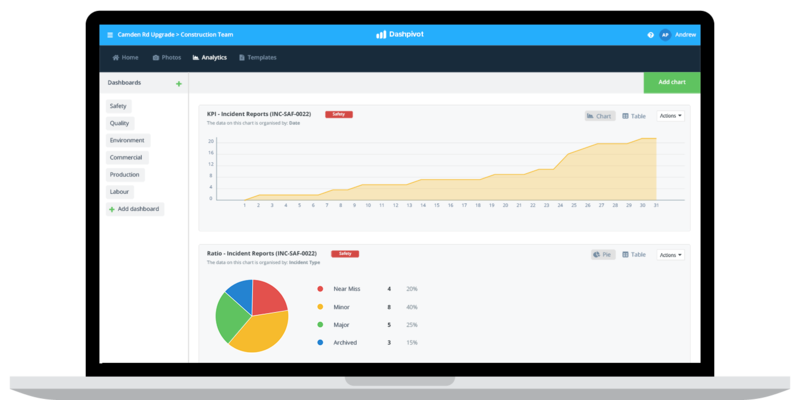 Get safety insights at the company or project level to spot trends and improve over time. Analyse your quality performance so you can continuously improve your work. 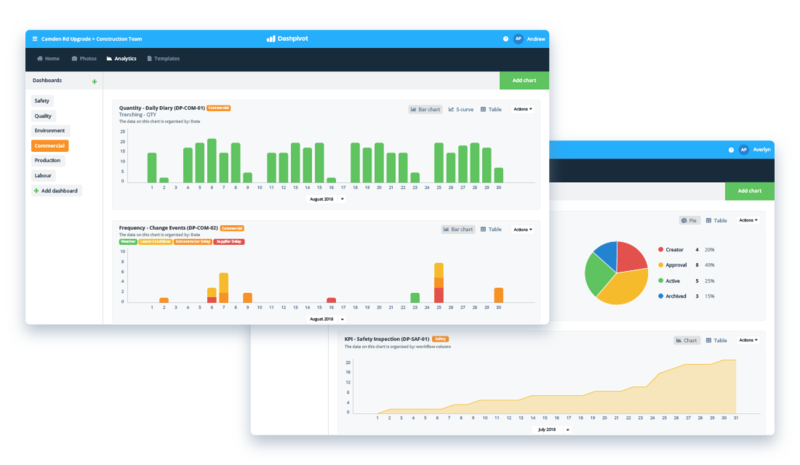 Streamline your processes and improve your business with Dashpivot.